Our logo, the Starfish is more than just an homage to the neighboring Pacific Ocean–it’s a symbol that represents our 5 core values. Each arm of the starfish represents one of our core values that motivate us to help our clients to Stand Out. Be Noticed. Get Results. People make everything possible. 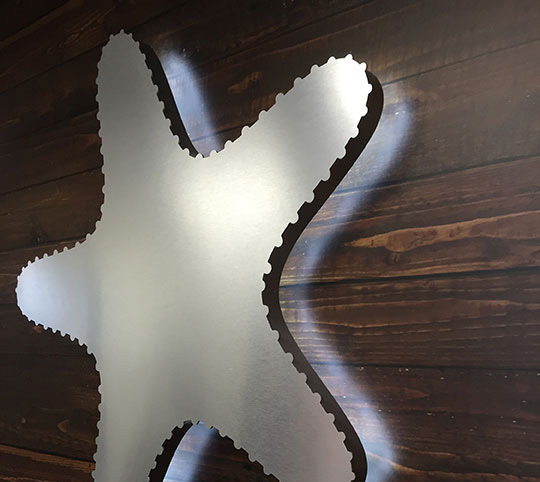 Here at Starfish Signs & Graphics we create and maintain an atmosphere where diversity is fostered and welcomed, where employees contribute based on their unique strengths, and where we leverage our individual achievements through team success. Creating high quality products for our customers is at the center of our business. To us, ‘Products’ means innovation, knowledge of materials, and the best representation of your brand. We strive for excellence, producing products of the highest quality. We are committed to high quality products and the full satisfaction of our customers, and we apply a rigorous, continuous improvement process to ensure that we never stop learning and growing. Successful businesses depend on successful communities. We believe that contributing to our community benefits us both collectively and individually. We contribute time and resources to the communities where we do business, and to local non-profit organizations, particularly those which share our values. We always keep in mind that our customers keep us in business and make our success possible. We make every decision with our customers’ interests in mind. Every customer is important to us.We are committed to the full satisfaction of our customers with every interaction and everything we produce. We place a high value on making and keeping commitments, and to operating with integrity. “Sustainability integrates natural systems with human patterns, and celebrates continuity, uniqueness, and place-making” (Early, 1993). This is a quote that we live and work by every day. At Starfish, we proudly commit to environmental responsibility, to the health and safety of our employees, and to a deep respect for our customers and the community in which we operate.